Kizad has welcomed H.E. Michel Temer, Vice President of the Republic of Brazil. The high profile Brazilian delegation currently visiting the UAE includes Mr. Luiz Fernando Furlan, BRF Board member and former Minister of Development, Industry and Trade in Brazil. As part of an exploratory business trip to China and the UAE, Temer is joined by a delegation of 30 Brazilian business leaders who took the opportunity to visit BRF’s new facility in Kizad, supporting the company’s business decision to expand into Abu Dhabi and use it as a regional hub to serve the wider Middle East region, while expressing interest in further investment opportunities in the emirate. 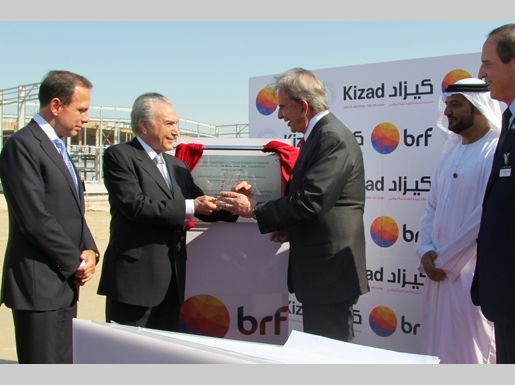 Commenting on his visit to the Brazilian food giant’s plot at Kizad Vice President Temer said, “I am specifically happy to take part in launching BRF in Kizad. It is important for us to have UAE as partners and this benchmarks Brazilian investment and encourages our expansion plans even further. We have been in the area for more than 30 years now, our relationship with UAE has grown stronger and most importantly, we understand the market. We aim at sharing our expertise in ports, roads, airways and railroads; this opens a wider scope of business opportunities for Brazilian businessmen attending this event and witnessing this massive progress. BRF, South America’s largest food processing company, signed a Musataha agreement with Kizad which paved the way for the AED 533 Million facility in Kizad’s food manufacturing cluster, to be built. The facility, due to be operational by 2014, will be constructed on a plot size of 1,743,000 sq.ft. 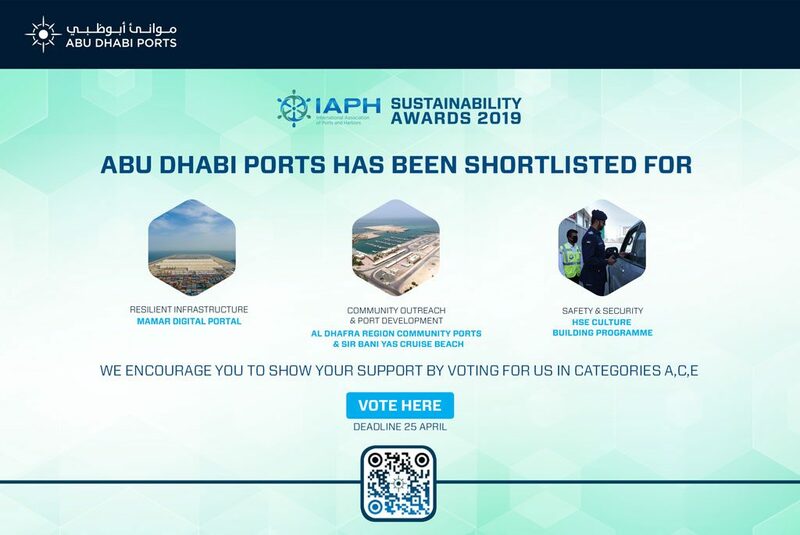 “On behalf of ADPC, Khalifa Port and Kizad, I am very honoured to welcome our distinguished Brazilian guests to Kizad and to Abu Dhabi. Having BRF in Kizad is important as it helps us in realizing the planned GDP diversification and positively contributes to the food security and supply chain of ready-made, quality food products”. With a product portfolio ranging from marinated and processed meat products to bakery based foods, and a production capacity of 80,000 tonnes annually, BRF is expecting to steadily increase production as they capture new markets and develop existing ones through their strategic location at Kizad and by using the modern transport infrastructure available to them through road, sea (Khalifa Port), air and soon, rail. Speaking at the BRF facility at Kizad, Mr. Luiz Furlan, BRF Board Member said that” This factory reassures the commitment the company has in the region for the last 40 years, considering Sadia and Perdigão. It is an investment in Kizad’s value proposition for a competitive production cost place in a key logistics hub”. Together with its adjacent deep water Khalifa Port, the Kizad covers an area of just under 420 square kilometres. Innovative infrastructures and state-of-the-art ICT services make Kizad an outstanding industrial plot ideally located between the East and West, offering excellent market access to 4.5 billion people within four time zones.